March 27, 2019 – March 30, 2019 will mark one year since the Great March of Return (GMR) demonstrations started in the Gaza Strip. In its report to the Human Rights Council released on 18 March 2019, the United Nations independent international commission of inquiry on the protests in the Occupied Palestinian Territory (CoI report) found reasonable grounds to conclude that Israeli forces, in violation of both international human rights and international humanitarian law, killed and gravely injured civilian protestors who neither were participating directly in hostilities, nor posing an imminent threat to life. 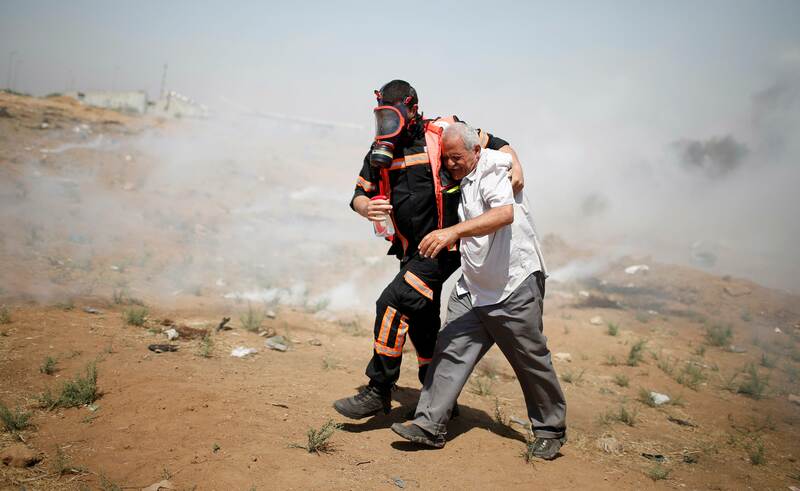 According to UN figures, since the 30 March 2018 start of the demonstrations in Gaza, 266 Palestinians, including 47 children and three health workers, have been killed, with over 29,000 injured.1 The mass influx of casualties has overwhelmed an already overburdened healthcare system in the Gaza Strip and exponentially increased medical assistance needs. In addition, the right to peaceful assembly and expression is guaranteed under international human rights law. Inits actions in Gaza Strip boundary areas, international human rights law requires that Israel’s security forcesrespect the rights to peaceful assembly and expression and that these forces use, to the greatest extent possible, non-violent means in discharging their duties. Living under layers of occupation, blockade, and political division, Gaza Strip Palestinians feel abandoned and trapped in an endless cycle of conflict. With the Gaza Strip unemployment rate standing at a staggering 54%, poverty at 53%, and food insecurity skyrocketing to 68%, Gaza Strip Palestinians are left with little hope or tangible prospect for a brighter future. The rights to assembly and expression are critical tools that must be protected so that Palestinians preserve a peaceful means to send their message to the world about the crisis they are living under in the Gaza Strip and throughout the occupied Palestinian territory. Massive current gaps in funding for humanitarian and development assistance for the Gaza Strip’s increasingly vulnerable population compound a highly volatile and precarious reality for the Gaza Strip’s isolated population,approximately 70 percent of whom are refugees. Significant cuts to relief and service providers, the United Nations Relief and Works Agency (UNRWA) for Palestine Refugees in particular, have fundamentally hampered the provision of life-sustaining emergency food and medical aid, access to primary healthcare, education and other critical support.